When it comes to fashion, I often find myself staring into my wardrobe feeling ever so slightly uninspired. I’m sure we’ve all been there. I probably wear the same 8 outfits in rotation and it’s beginning to get a little bit lacklustre. I find myself looking at all these Instagram girls wondering how they afford to have 8164 incredible outfits. I probably couldn’t tell you the last time I bought a full outfit. 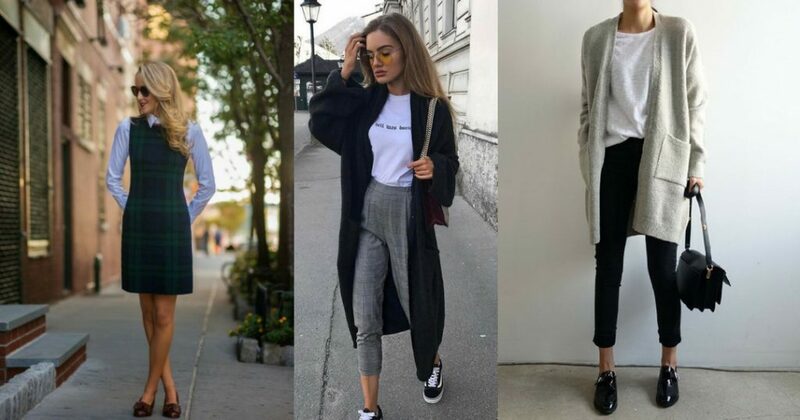 So, inspired by Carys’ latest video (busybeefitness), I thought I would trawl Pinterest for some of my favourite outfits that I would recreate/buy if money allowed. Seriously, if you are ever struggling for outfit inspiration, head to pinterest, type in what you’re looking for and you’ll quickly be spoilt for choice. I’ve probably always been a bit of a sucker for the smart casual look. In my new job, there’s no dress code which is a blessing if you’re like me and live in leggings 24/7. Despite not having a dress code, I still like to keep my workwear fairly smart so I often end up opting for a smart casual look. A week or work outfits will often be leggings and an oversized shirt, smart trousers and a blouse or sweater or a casual daytime dress. But what would my dream outfit be if I could pick it from Pinterest? Well, I’d probably stick to the smart-casual theme, but throw in a touch of chic. I have a serious soft spot for pinafores. Yet, it’s something that I can never find in store. The first outfit would definitely be one of my go-to office outfits if I could find somewhere that sold cute pinafore dresses. The second and third outfit are quite similar but they’re probably the closest to what I tend to wear for work. Cropped trousers are a firm favourite for the office, especially if they’re patterned or colourful. I haven’t actually tried pairing my work trousers with a tee before so I’ll definitely be taking inspiration from Pinterest here. My go-to is usually a blouse, silk cami or a sweater so switching it up with a sloucky slogan tee sounds perfect. I also tend to wear ballet shoes or patent mary janes with my work outfit but I’m more than happy to swap that out for some skate shoes. One thing my wardrobe lacks is layers. As someone who is always cold, it’s probably something I should invest in. I would never think to wear a slouchy, longline cardigan with tailored trousers out of fear of it drowning me and looking frumpy. 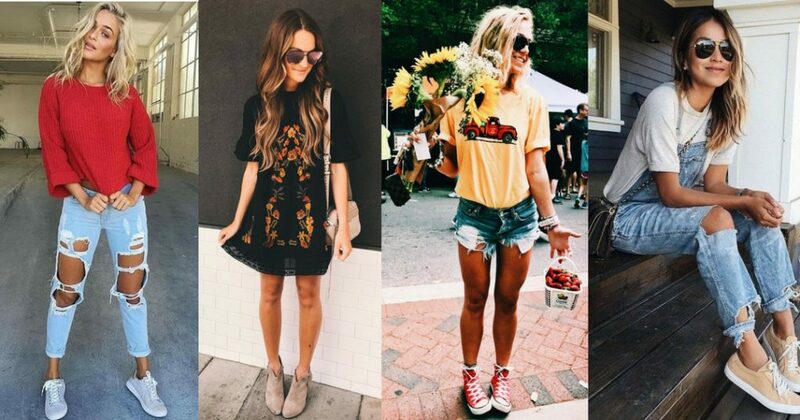 But I think we can all agree that these Pinterest girls have seriously pulled it off. It feels as though I’ve missed a trick. Change the handback for a backpack and I’d be one happy girl in the office wearing one of these comfy work outfits. Whenever I think about workwear, I always think how thankful I am to be a girl. Guys are often stuck wearing suit trousers, a shirt and tie whilst us females can mix it up in 101 different ways! If I was a guy, I’d probably try to stray from the rigid suits and opt for something a little more on the casual side like chinos or skinny black jeans with a slim shirt or shirt and jumper combo. As Father’s Day is just around the corner, if you’re looking for a blazer to keep things smart for a guy, then https://www.chums.co.uk/menswear have some great options that would work well for Father’s Day. On a normal day, you’ll either find me in gym clothes, leggings or my faithful black-turned-grey ripped skinny jeans. My usual daytime attire is nothing adventurous as I tend to choose comfort over style. After scrolling through Pinterest, I quickly realised I could still achieve that cosy daytime outfit whilst still looking relatively put together. I’ve been on the hunt for a new pair of jeans for a while now. Alas, like most girls, I struggly finding jeans that fit me. I’m determined that I will at some point find a pair of blue, distressed jeans that tick all of the boxes. Until then, I’ll carry on lusting over them on Pinterest. Is it just me or does anyone else think non-holey jeans look weird on them? I’ve become so accustomed to wearing ripped jeans that anything else now seems unnatural. The first outfit ticks all of the boxes for the perfect daytime outfit for me – ripped jeans, trainers and a jumper. I love trainers. In fact, when buying my house I actually sold quite a few trainers and put myself on a trainer ban. I used to be obsessed with buying trainers and to be honest, I still love them. But, I’ve now been in my house almost a year and couldn’t tell you the last time I bought trainers. This first outfit is one that I feel I could easily throw together so it’s an achievable casual look for me. The next outfit sums up my usual summer attire I think. A pair shorts with a tee and trainers is a simple yet effective look. I love the red converse and yellow tee here. They’re both such perfect choices for adding a pop of colour to an outfit. Another thing I’ve noticed in all of these photos is that the girls all have a tan which suggests I really ought to work on my own tan if I want that effortless just-strolled-off-the-beach cool look. The final outfit isn’t too disimilar from the other denim looks. It simply captures my love for dungarees and whilst I may only own 1 pair of dungarees, I’m lusting over more already. Again, I just love the simplicity of this look. From now on, before I go clothes shopping, I’ll be tapping outfit details into Pinterest for inspiration. Whether it’s for a smart-casual work outfit or a super casual weekend outfit, I’m confident that Pinterest will have my back. What’s your usual clothing style?